Pingipung and Future Nuggets present Cosima, a Bucharest based artist, with two wonderfully poignant songs. Cosima Opârtan is widely known as one half of "Raze de Soare" (Future Nuggets). As a solo artist, she files her music under the genre widow pop - melancholically reaching out to the past and the future in one gesture. She sings like someone addressing a beloved but faraway audience, or a trusted, distant relative who can only be seen through someone else's description. Cosima has a background as an architect which she shifted to designing sonic treatments for various spaces such as sound studios. She is also a founding member of the Queer Night, a series of itinerant parties engaging the local LGBTQ+ community and part of Corp., a Bucharest based platform dedicated to supporting and promoting female & female identified musical talent. 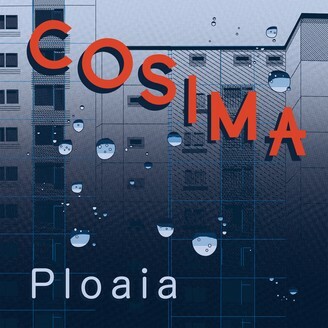 "Ploaia" has been co-composed and produced by Ion Dumitrescu, known to all Pingipung afficionados for his 7inch as Ion Din Dorobanti (Pingipung 056) who also runs the never failing Future Nuggets label. On the flip side, the two team up with Horațiu Șerbănescu, an artist from the Future Nuggets roster releasing music as "Plevna".